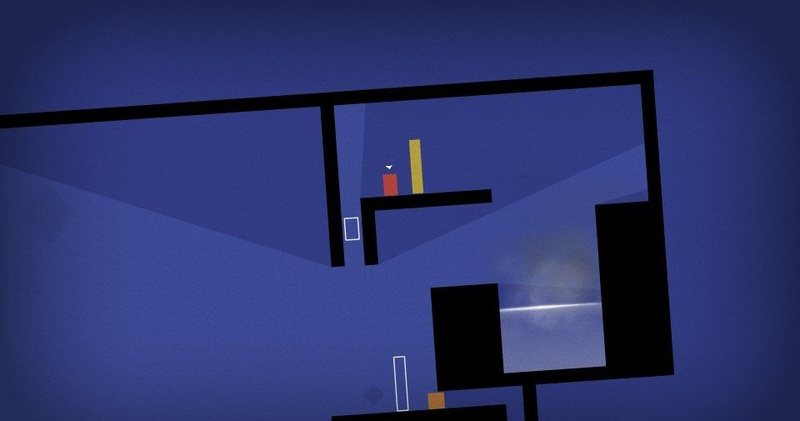 Not so long ago a German rating revealed that Mike Bithell's million-selling title Thomas Was Alone is coming to the Wii U, with Curve Studios following up on its previous ports to Vita and PS3. The publisher has now confirmed the title will arrive in November for £6.99 / $9.99; it'll also arrive on PS4 and Xbox One. Thomas Was Alone is a puzzle platforming experience with narration from Danny Wallace; its simple, stylish visuals, narrative and gameplay combine to provide a memorable 'indie' experience. While we shouldn't expect any particularly innovative uses of the Wii U and its GamePad, this port will make the hugely popular title available to Nintendo gamers for the first time. To celebrate the formal announcement Curve Studios has released a rather humorous 'documentary', hitting some of the most prominent norms of the gaming industry with a healthy dose of satire. Below is one of the title's original trailers to give you a sense of the gameplay, and be sure to check back in the coming days for our interview with Curve Studios, in which we discuss this title coming to Wii U. Fantastic game Can't wait to play Volume. Hopefully if this does well on Wii U we might see a port of that too. Its ok. Its not bad or great I don't think. Very pleasant game all in all, but it's a year and a half old now, so most who wanted to play it probably already have. Still, for those who haven't, it's recommended. Way too easy and 9.99 is a bit high considering it was going for 99 cents on the PSn not too long ago. You can get this and Cubemen 2 for 1$ from the Humble Bundle at the moment (If you want Steam keys). PC and Android versions. Theoretically you could pay 0.01$ if you just wanted the drm free and mobile versions. I have this on PC and PS3, but I'd prefer to play it on the Wii U. For $10, though, I definitely won't be getting this any time soon. Thomas Was Alone is already over 2 years old, and has been sold for $1 multiple times. The Wii U, PS4, and Xbox One versions of this game should cost no more than $5. The game is cool, but steep for such a old game.